Three years ago, the DeSyRe (on-Demand System Reliability) project started with the promise that it would enable extremely reliable medical devices. Three years later, the results are in and they are even better than expected: chips designed based on the new Desyre paradigm are shown to be more reliable and to be less power- and area-hungry than predicted at project onset. 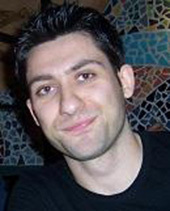 The Desyre consortium had initially promised new design techniques that would counter the increasing fault-rates expected for next technology nodes, while at the same time they would reduce the power and performance penalties introduced by fault-tolerance measures. To reach such ambitious goals, Desyre introduced a different, hybrid approach to reliability, which separates the system-on-chip into two different areas. One area comprises normal, interchangeable processing cores which are by nature fault-prone. The second area is extremely resistant to faults and monitors the sanity of the cores in the first area. 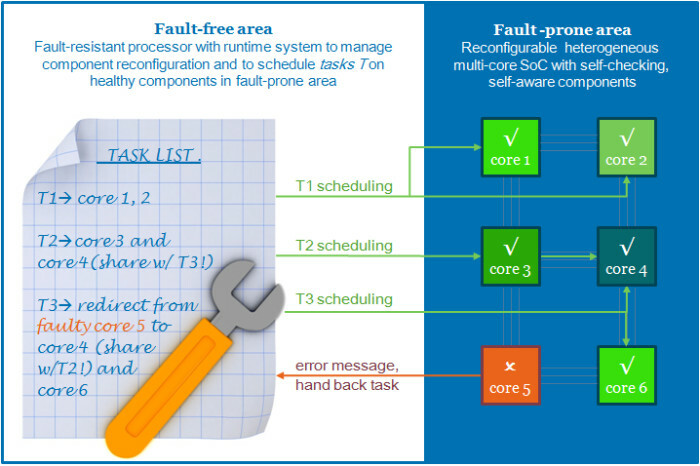 It assures that each core in that area can handle an assigned sub-task correctly and efficiently, yet transfers tasks from one core to other idling cores in this same area in case of a diagnosed malfunction.